On the 3rd of October, Lebanon Support hosted its 3rd Gender Afterworks discussion on personal status laws in Lebanon. The discussion is the third in a series held under the Gender Equity Network, a project that is part of the Civil Society Knowledge Centre, and aims at filling the gaps found in literature and knowledge on gender issues easily accessible. This event was organised in partnership with KAFA (enough) Violence and Exploitation. 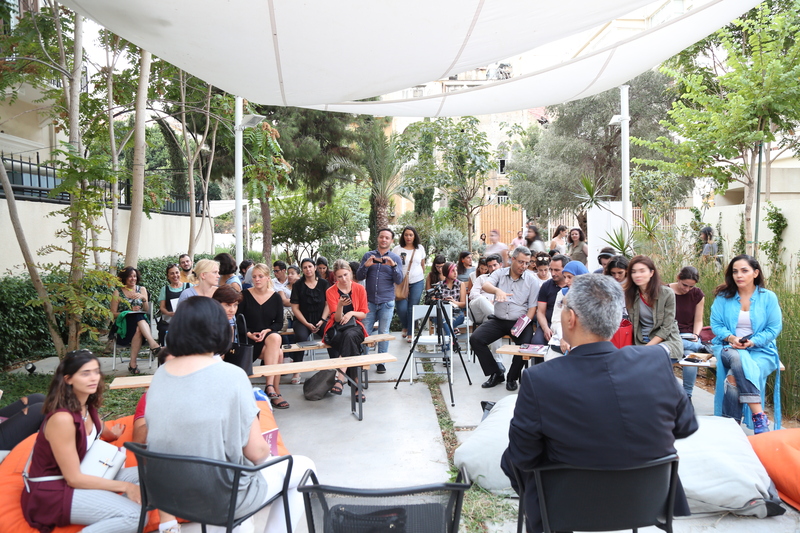 It was led by Ms Leila Awada, lawyer, founding member of Kafa (enough) Violence & Exploitation, and head of the Legal Unit at Kafa, and Judge John Azzi, judge at the Court of Cassation in Lebanon since 2010, and moderated by Maya Ammar, a feminist activist and a member of KAFA. Judge Azzi started the discussion by giving an overview of the main contentious areas of personal status laws in Lebanon, including maternal custody, nationality, running for municipal elections in married women’s hometowns, early marriage, civil marriage, and domestic violence. He posited that laws should be at the service of people, and that our laws need to be updated and reformed to ensure equality and the protection of women. Reiterating the fact that personal status laws are based on the 18 confessions of Lebanon, he stressed the importance of reaching out to enlightened judges and pressuring clerics – given that particularly the latter are gatekeepers and represent an authority for local communities and confessions – in order to reform laws discriminating against women. Speaking from his extensive experience and drawing from concrete examples, Judge Azzi proceeded to unpack issues relevant to legislations and how they affect women or have been reformed. For example, following sustained lobbying from the feminist movement and pressure groups, custody laws were reformed in the Druze, Sunni, and Orthodoxs sects to raise the age of custody for boys and girls. As for nationality laws, they remain discriminatory against Lebanese mothers who are not able to pass on their nationality to their children, while foreign women married to Lebanese spouses can obtain the Lebanese nationality and can pass it on to their children from a previous marriage. Judge Azzi noted that such discriminatory clauses relegate Lebanese mothers to an inferior status compared to their foreign counterparts. He then concluded his intervention by reiterating that the current laws governing personal status in Lebanon no longer cater to the needs of Lebanese society. Lawyer Leila Awada highlighted the plight of women in Lebanon when it comes to personal status laws, stating: “normally, feminists raise demands of women’s equality with men, but when it comes to personal status laws, feminists demand women’s equality with other women because currently there is no unified concept of citizenship that bind Lebanese women together.” She questioned the role of the Lebanese state and how the various confessions in the country have come in the way of reforming personal status laws, and affected the country’s ability to have autonomous civil laws. She criticised the underlying logic upon which these legal codes are based, and how they reinforce traditional gender roles for women as wives attending to their husbands’ legitimate rights. Moreover, Ms Awada analysed the influence of the concepts of obedience (ta’ah) and disobedience (nushuz) on marriage and divorce stipulations. She ended her intervention stressing on the need for a unified civic personal status code. 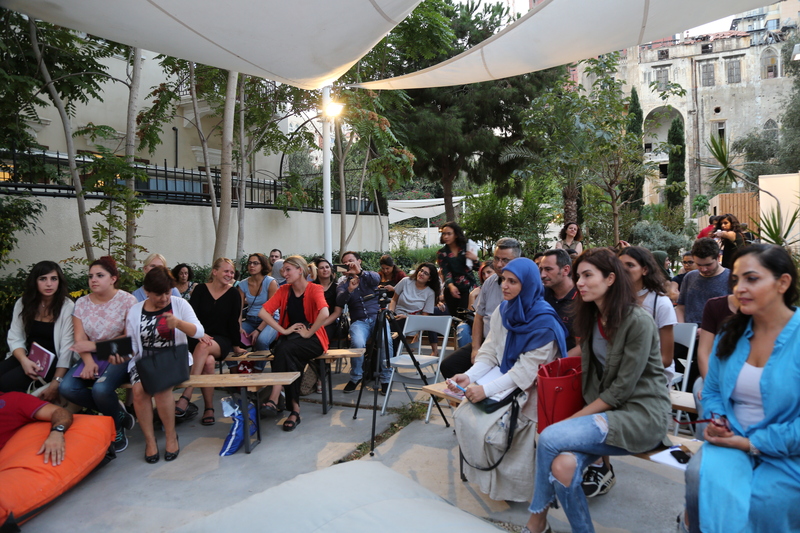 Attended by over 70 people, the audience raised questions about the genealogy and history of personal status laws in Lebanon, and recounted examples of how these laws affect their own personal experiences and the formal treatment they receive by the state and its institutions, in particular women in relation to the male figures in their lives (father then husband). Discussions also addressed the disconnect of some feminist and women’s movements and organisations from the public and needs on the ground, while some discussed and challenged the usefulness of engaging with religious figures to advance women’s rights. Finally, the speakers and the audience discussed how the political and social nature of the Lebanese state and the structure of its institution reflect on legislation.